A lot of hip-hop albums these days are made with multiple producers, each producing one or two tracks. I believe some country albums are also done this way. I’m old school, so this bothers me. An album, in my view, is supposed to have a single point of view, and this is achieved by having an artist and producer working together as a team for the length of the album. 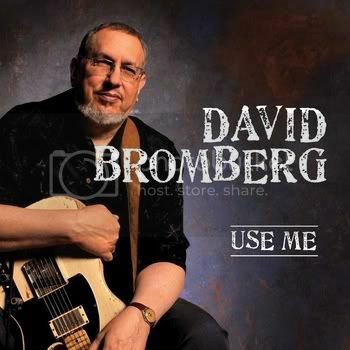 What then am I to make of the new album from David Bromberg? There is an over all concept to this album: it is Bromberg’s musical wish list of who he would like to work with. So Bromberg’s guitar and vocals are the constants, but each track has a different guest artist who also provided the other musicians and produced. Most of these guests also wrote their song specifically for this album; the others chose the song they wanted Bromberg to cover with them. Only Levon Helm contributed two songs, and they are completely different from one another. And the collaborators came from the worlds of country, blues, folk, old school R&B, funk, jam band, and pop. So what does this all add up to? A stylistically diverse album that can stand with David Bromberg’s best. You see, even in the old days, David Bromberg was, by choice, a musical chameleon. 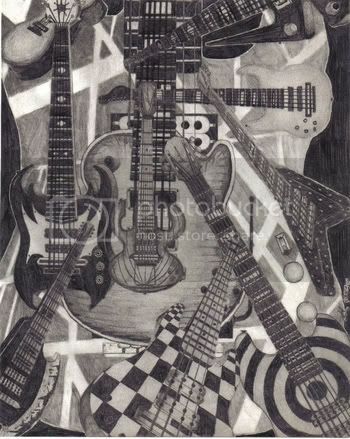 His work was based on the blues, but he could rock, and he was always equally adept on acoustic or electric guitar. He eventually would record a wonderful album of Irish folk. So the mix of styles makes sense here, where it might not for anyone else. Also, the guest artists here have chosen or written songs that they feel Bromberg would sound good on. So Linda Ronstadt, for example, brings a Brook Benton tune, It’s Just a Matter of Time, but it’s arranged for just acoustic guitar and stand-up bass, with a chorus of female vocals. Los Lobos, with The Long Goodbye, stretch Bromberg with a Mexican waltz, but he is more than up to it. A slow blues with Keb Mo makes all the sense in the world, as does a jug-band tune with Levon Helm. Bromberg gets funky with Dr John, but also with widespread Panic. A slow R&B workout asks almost the same thing of a singer as a slow blues. John Hiatt doesn’t get enough credit for his talent at writing these kinds of songs, and Ride on Out a Ways is a fine example. Bromberg’s voice lacks the power it once had, but he has figured out ways to compensate, and convey as much emotion as he ever did. I am particularly impressed with the way he can still adjust his tone for the different styles of song heard here. Bromberg has also become a more subtle guitar player. Where he might once have broken out in an extended solo, now he knows that he can get his point across with just a splash of notes. Use Me, then, is an album that Bromberg might have wanted to make at the peak of his career, but he was on a major label then, and they never would have allowed it. I’m glad he found a way to do it now. Use Me has the most important element any great album needs. It sounds like all of the musicians are having a great time. I am comfortable saying that all of the songs in this post are folk music. And yet, there are a variety of approaches to writing, arranging, and performing these songs. In part, this reflects changes in either what constitutes folk music, or my perception of it over the years. It comes down to the question of what folk music is. It almost seems that, with every new album I receive, the answer gets bigger. Folk music these days has more subgenres then there are posts in the president’s cabinet. So I can’t cover them all here. But this survey gives a brief overview of what folk music can be, and how my understanding of it has changed over the years. Let me show you what I mean. I originally thought that folk music was the sound of one man or one woman, and an acoustic guitar. The music was unadorned, not raw but true and unprocessed. 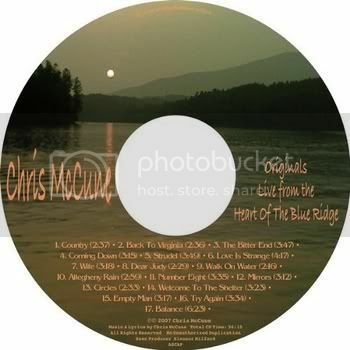 Chris McCune makes his music that way. He sings in a gravel-y baritone, and his guitar playing is fine, but not the center of attention. The focus is on the songs, especially the words. McCune sounds weary of the world, but he varies his expressions of that with the poetry of his words. He also can get an amazing range of moods out of his guitar playing. So an entire album of one man and his guitar held my attention throughout. Not many artists can do that anymore. Sheila MacDonald has a pretty voice, but you can tell that she is not a trained singer. So, her songs don’t sound polished, but they do sound true. She varies the sound of her album by letting someone else handle some of the guitar playing, and by adding an extra instrument here and there. The fiddle on two songs is particularly beautiful. But Lucky Luke has just MacDonald’s voice and the guitar playing of Raymond Gonzalez. MacDonald adds overdubbed background vocals with a beautifully light touch. What comes through is a quality of innocent sympathy for the title character that would have been lost in a more polished performance. MacDonald has a perfect feel for how best to use her musical and writing gifts, and Lucky Luke is a perfect example. As I continued to explore folk music, I began to understand that it could be played and sung not only by individuals, but also by groups. The music of the Kingston Trio is not what I would call folk, but the music of Doc and Merle Watson certainly was. On The Lame Soldier, Jami Lynn plays banjo, and she is joined by Josh Reick on guitar and stand-up bass for a wonderful trio sound. Another requirement for my earliest definition of folk music was that the songs had to be traditional. 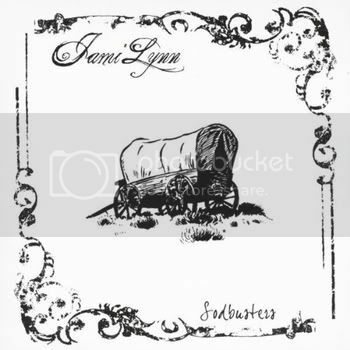 Half of the songs on Sodusters, including this one, are indeed traditional, but the other half are written by Jami Lynn. Throughout, the songs have the haunting sound that traditional songs so often have. As a songwriter, Lynn is so well versed in traditional music that her originals fit in perfectly on this album. Sodbusters is one I know I will want to come back to again and again. Based on their music, you might guess that all of the artists in this post so far listen only to folk music. You would not say that of Dala. They can do folk as well as anyone, and their music is acoustic. But songs like Anywhere Under the Moon have rock strumming. 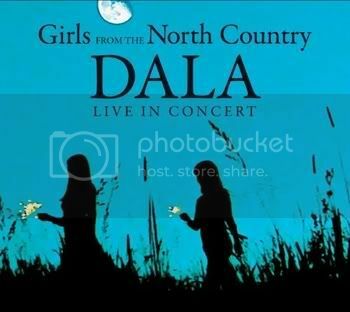 The woman in Dala have their ears wide open, and a variety of influences can be heard in their music. In their case, that diversity of influences makes their albums richly varied. Girls From the North Country is no exception. The album has a traditional song, as well as covers of Bob Dylan and Joni Mitchell, to name a few. But it also has original songs. For Dala, it is never about the genre, but simply about the song. All of the songs here are performed beautifully, with the wonderful vocal harmonies that are a key to the group’s sound. 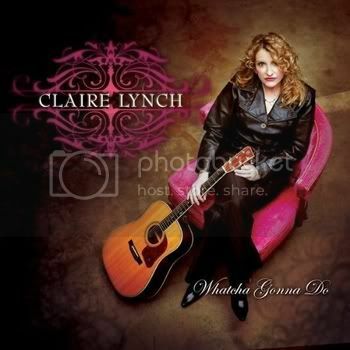 Ostensibly, the music of Claire Lynch is bluegrass. But there are hints of country and jazz as well. They call this kind of thing new grass these days. I just call it great stuff. Lynch has a voice that borders on Dolly Parton territory, with that wonderful sweetness. Whatcha Gonna Do, the song, is a fine example of how the diverse elements that make up Lynch’s music can combine to create great beauty. I’ve waited quite a while for this album. Lori Lieberman’s last album, Gun Metal Sky, came out three years ago, and it was a marvel of subtle beauty. Bend Like Steel was worth the wait. This is a personal album, and the beautifully rendered musical settings here are even more intimate than last time. The basic band has Lieberman switching off between acoustic guitar and piano, plus additional acoustic, stand-up bass, and percussion. There are also cello parts on many of the songs, and an electric guitar is sometimes added with the lightest of touches. It would be a mistake to add much to this. Lieberman is a passionate singer here, but she does not raise her voice much. She often gets quieter for emotional effect where most singers would get louder. So it is remarkable how well her voice and Monty Byrom’s baritone combine on the album’s one duet number, Mr and Mrs Make-Believe. Byrom must match Lieberman’s subtlety with his own, and too few singers know how to do that. 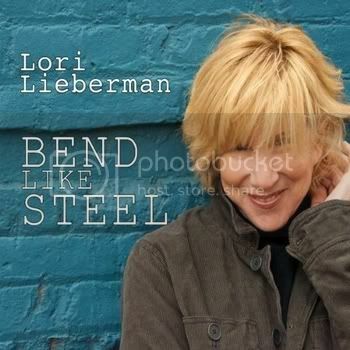 The big surprise to me about Bend Like Steel was the content of the lyrics. Lieberman has been making music for almost 40 years, and I haven’t heard nearly all of it. But this album feels like Lieberman had some kind of a breakthrough, and years of pent up emotion came out in the writing of these songs. Lieberman says in the liner notes, “A writing streak led to the making of this CD… where the more I said, the more I felt I needed to say.” The album opens with songs of love gone wrong. If Not Now feels like a snapshot of a moment when a woman who has been isolated in an abusive relationship decides to break out. Mr and Mrs Make-Believe depicts a hollow marriage, where their acquaintances believe they are the perfect couple, but their relationship is actually loveless. Cup of Girl is one of the most heartfelt songs on an album full of them; it depicts a singer who has been manipulated, but has finally decided to take control. The song uses an extended metaphor of a recipe, and this is a device that could have failed miserably, but Lieberman nails it. As the album progresses, the emotional tone begins to shift. Now, the narrator who had been so unlucky in love begins to find the real thing. My Sister’s Boyfriend is a flashback that represents a long-sought ideal for what love should be. The relationship in the song did not endure, and there is a heart-stopping moment in the song that explains why not with one word. I don’t want to give a spoiler by saying more, but you will know the moment I mean when you hear it. That one moment sums up everything that is so right about this album. These Things is a wonderfully ironic song; after recounting all of the experiences that could have warned her off of love forever elsewhere on this album, Lieberman finds herself in this song assuring a new lover that he does not have to let his past hurts scare him away from her. And that sums up what Lieberman has taken away from all of these experiences, and what she wants the listener to take away from this album. Through it all, Lieberman never lost her faith in true love, and so, she was ready when it found her at last. Netherlands finds her in that country for the first time since 1975, and it completes a circle for her. And There’s a Harbor closes the album with an affirmation of the power of love. Lieberman didn’t write this one, but she chose the perfect song to conclude this journey. And it is a journey. Much care has obviously gone into sequencing the songs on Bend Like Steel. This is an album that should be heard straight through in one sitting if possible. Heard this way, the album tells a story that is real, but also heartwarming in the end. Long time readers know that I am uncomfortable with genre labels for music. I try to use them as shorthand, to give my readers a quick reference point for telling how something will sound. But the best artists are individuals, and their music is whatever they need it to be. 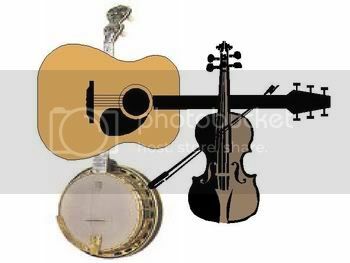 Folk music may be blues, bluegrass, Celtic, etc, or it may draw from all of these and more. Singer-songwriter simply means that a person sings and writes many of the songs they perform. And rock implies that a band has plugged in at least some of their instruments. What I call hybrid genre labels only make matters worse. Folk-rock, for example. This simply means that the music lies somewhere on the spectrum between folk, (whatever that is), and rock, (whatever that is). In assembling a set of songs to illustrate this point, I found myself with five songs that all have a country flavor as well. That only confuses matters further. That said, let’s see what happened. Yesterday starts, folklike, with just Robert Larisey singing and accompanying himself on acoustic guitar. He plays finger style, creating a rhythmic and detailed cushion of sound to back his words. A subtle but beautiful fiddle part comes in before the end of the song, and there is also bass and background vocals. 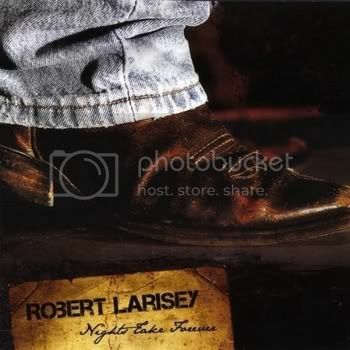 But what truly keeps this one from being pure folk is Larisey’s approach to the vocals. His voice sounds like the cracks will get wider, and he will break into dust at any moment. The emotion of the song threatens to overwhelm him, but never quite does. Elsewhere on this album, there are drums and some electric guitars in places. But that sense of barely restrained emotion is a powerful constant throughout. Larisey backs it up with the quality of his writing. There is an overlap between the musical influences that led to the development of both folk and country music. Both draw on blues and gospel, for example. 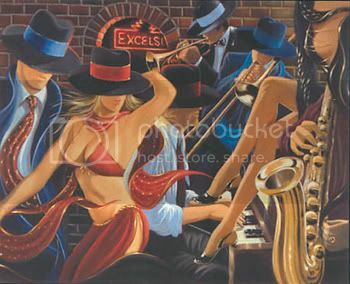 I have read interviews with some of the old-time blues artists, and they talk about how their parents would beat them if they found out that they were sneaking out of the house to play blues at the local juke joints. Some of these artists turned to gospel as a cover. So you have blues artists like the Reverend Gary Davis, and you have blues standards like Twelve Gates to the City. The sacred and the profane mix freely, and blues becomes secular music of the spirit, while gospel of a certain vintage shows a great blues influence. 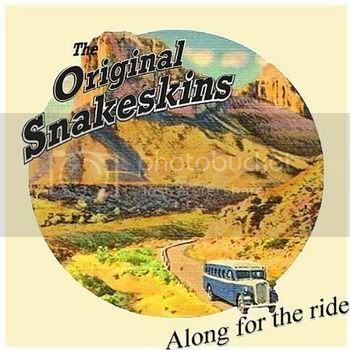 I am reminded of all of this as I listen to the music of The Original Snakeskins. Some of their songs lean into the territory of bluegrass, but there is a blues/ gospel feel to much of their work. Jesus and Jezebel is an original song that sounds like it could have been written 80 years ago, and I mean that as high praise indeed. Anne Unger provides the soulful vocal that makes the whole thing work. Jenny Come Back has acoustic guitars, stand-up bass, banjo, and accordion. Even adding drums, this seems like folk territory. But the music and the lyrical content go somewhere else. 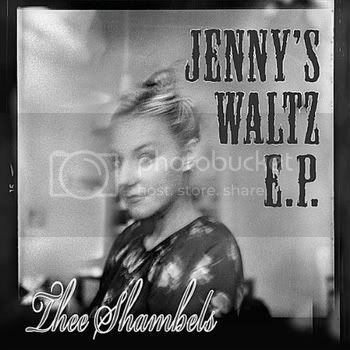 Jenny is a the waltz that give this EP its title. This is the kind of dark waltz that might have been written for the Three Penny Opera, and the lyrics paint that kind of gritty urban picture, and they are not for the faint at heart, or for young listeners. This is also something that Tom Waits might have had something to do with, to provide another point of reference. The performance has a woozy carnival feel. This is a perfect match of words to music, and Neville Elder’s vocal is spot on. He combines sympathy for the downtrodden with a hint of menace, and the whole thing really works. With Northbound, we are much closer to rock territory. Here are drums and electric guitar and bass. But the guitar part is beautifully interwoven with a banjo. And the lyric is both poetic and enigmatic in a way that is more folk than rock. 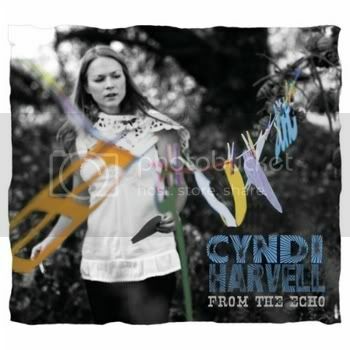 Harvell’s voice has a bit of a country twang to it, and there is a break to an almost falsetto that Harvell knows how to use to the best advantage. Northbound rides a wonderful slinky groove with an almost reggae feel to it. Some of the other songs on this album have more of a rock feel, but there is often an instrument in the mix such as a banjo, mandolin, or acoustic guitar. Harvell is adept at choosing and executing the best musical setting for each song, and the variety makes this album a fine listen. 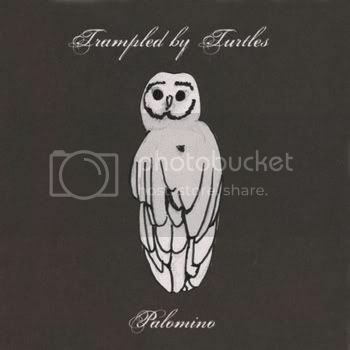 Trampled by Turtles is a five piece band, with a mix of instruments that marks them as bluegrass. There are no drums, and all of the instruments are acoustic except the bass. And yet, It’s a War Comes at the end of this post, where we are closest to rock. How can this be? It’s in the attitude of the playing. The guitar and banjo pound out power chords. The fiddle races along. The vocals are melodic but raw. This is punk bluegrass. Elsewhere on the album, the band slows down a bit, but there is always a rock sensibility to the playing and singing. It means that this album is not for the bluegrass purist, but also that it is a thrill for the rest of us. I have always loved the Latin rhythm of Missing Person Afternoon by The Story. If you are not aware, The Story was the duo of Jennifer Kimball and Jonatha Brooke, before each of them went solo. Brooke is much better known than Kimball. That’s not surprising, since Brooke did most of the songwriting, and played instruments as well as singing, while Kimball only sang. Still, both have made music as solo artists that is well worth seeking out. As a duo, The Story started from a foundation of folk-rock, but their ears were wide open, and many of their songs reflect this. Hence the carnivale feel of Missing Person Afternoon. The lyric is another matter. The narrator sings the song to Luisa, who is evidently a recently departed lover. But the narrator tries to apologize to her, and sings, “But I was wrong, (and here is where you will have to imagine the rest).” So Luisa may be physically absent, but the narrator could be the missing person in the title. Her remorse seems genuine, but she can not express it in words. A part of her is not there, and maybe it never was. Maybe that’s why Luisa left. Probably, the first songs that were sung by humans were chants and ritual music, asking the gods for their favor. But it can not have been long after that mankind began to tell stories in song. Some were myths, tales of gods and goddesses, while others told of success or failure in the hunt, or in love. By the time of the ancient Celts, the bards were said to have the power to curse or bless with their songs. Their stories could transport the listeners to another world for the length of the song, and some never returned. Today, there are still fine storytellers among our songwriters. Let’s hear some. First I will let Lauren Shera give us an introduction. 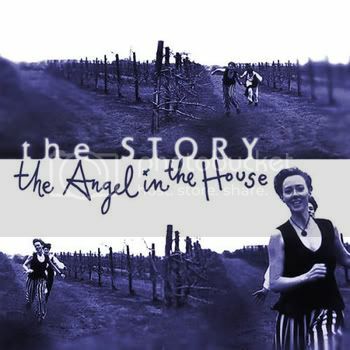 Her song Storyteller doesn’t really tell a story itself, but it is all about the power of story. She a wants a potential lover who can transport her to another world with his tales. As she works through this idea, she realizes that the term “story” for her means fiction. She ends up lamenting that these tales are not true. Even so, the song beautifully presents the power of storytelling in a context that I have not seen before, and it really works. The first thing many story writers do is set the scene. Maurice Tani does this beautifully in Radio City. I can see the parking lot outside the radio station as I listen, and I just about see the DJ’s face. It takes a little while for the plot of the story to come out. This is a tale of heartbreak, and the narrator is hesitant to tell it. He seems to feel that saying it aloud gives it power, and yet, it is a tale he must tell. This narrative device makes the song all the more powerful. Tani and Jenn Courtney roughly split the lead vocals on this album. She has the more expressive voice, but he knows how to use what he has to good effect, so the vocals work throughout. The Crown & The Crow’s Confession is a mix of ballads and rockers, all rendered beautifully. Tani is the main songwriter, and a fine one. 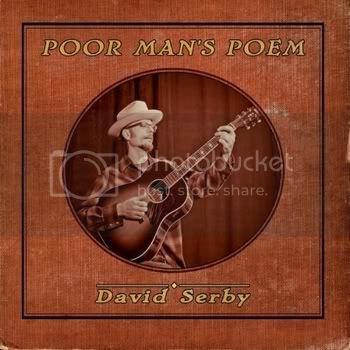 David Serby sings the stories of forgotten men and women. His characters sometimes do things that we as listeners can not condone, but Serby always presents them with their dignity. In Evil Men, we meet a man whose crimes have earned him a death sentence, and yet Serby makes sure that we care about him. Elsewhere, we meet factory workers who have good cause to want to unionize, a poor young woman who must give up a child she can not afford to raise, and outlaws and gold diggers from the old West. 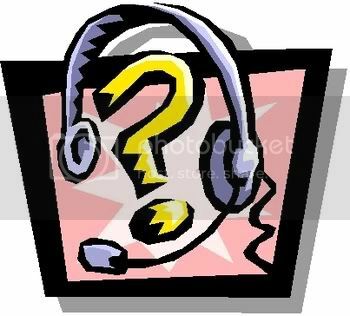 Serby makes the listener feel that the know all of these people and more, and we care about their stories. 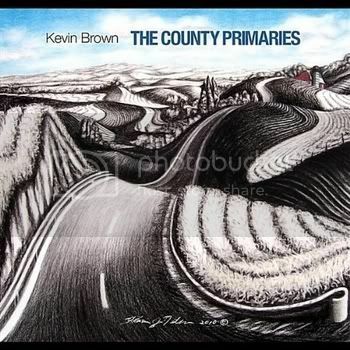 Kevin Brown’s songs are earthy but magical tales. There is no contradiction there. Listening to his songs, you get grit in the soles of your boots, and you see marvels, visions which can inspire amazement or fear. Medicine Bow concerns the white buffalo, and the Native Americans who knew them best. The story is powerfully told. Some of the other songs here do not tell stories, but simply set a mood. Brown also does this beautifully. Imagine that you are visiting an elderly relative, a grandfather perhaps. He has accidentally on purpose left out an old photo album where you will see it. As you leaf through the sepia-toned, faded photographs, at first you see just pictures of strangers. But your grandfather sees stories, and soon enough he begins to tell them. They have the bittersweet quality of times past, never to be seen again, but there is also love, and an innocent quality. 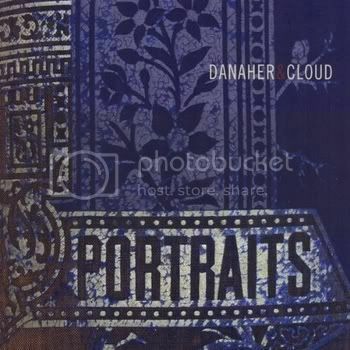 Portraits, the album by Danaher & Cloud, has something of that flavor to it. Each song tells a different tale, and the music reflects this. One tale might have a jazzy feel, while another might recall old Irish legends. All are told with great warmth. The Train to Baltimore gets a wonderful folk arrangement. This is a love story, the kind that has a happy ending. This kind of sweetly romantic tale is one that many artists today can not pull off without cynicism creeping in. Danaher & Cloud play it straight, and make the story utterly convincing. I’ll start by saying that Threshold is Carolann Solebello’s first solo album since she left Red Molly. But being part of a group that does a lot of sweet harmonies is different from being a solo artist. And writing for a group is also different from writing for yourself. Threshold shows how Carolann Solebello creates and performs an album’s worth of material just for herself. The rich and sweet alto voice is still here, of course. But there are times here when Solebello cuts loose and belts out a few notes. This is all the more affective because Solebello does it sparingly. And having an entire album of Sollebello originals, plus two well chosen covers of traditional tunes, puts her writing in a context that was not possible in a group. I will always treasure the albums Solebello made with Red Molly, but Threshold is a treat of a different sort. In a sense, Threshold can be heard as a single song. It starts as a folk-rock tune, with both electric and acoustic guitars prominent in the mix, backed by drums and bass. Then there is a quiet midsection, where the electric guitar and drums, and soon even the bass, drop out, and a fiddle and mandolin show up. The folk-rock arrangement comes back, although not as forcefully. Finally, there is a gospel coda, with just acoustic guitar and chorused background vocals. Put this way, it sounds very schematic and deliberate, but that’s not how it sounds. The lyrics are a set of stories, organized around the themes of freedom and home. In Solebello’s eyes, these concepts are opposites, and the tension between them is what really drives the album. 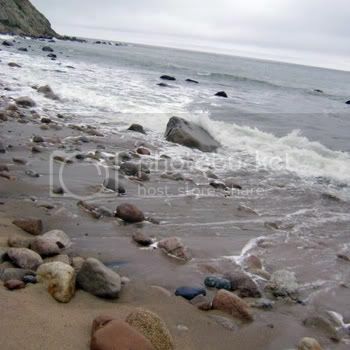 There is an emotional ebb and flow here, mirrored by the changing tone of the music. One extreme of this emotional dynamic comes out in the song Empty House. Solebello makes it clear that a house is a mere shell. A home is about being surrounded by loved ones. This motif reappears later in Tea Without Sympathy. The urge for going, and for freedom, is represented most clearly here by the traditional Black Jack Davey, where the protagonist gives up her family and home to travel with a gypsy. But not all of Solebello’s narrators can make this choice so easily. 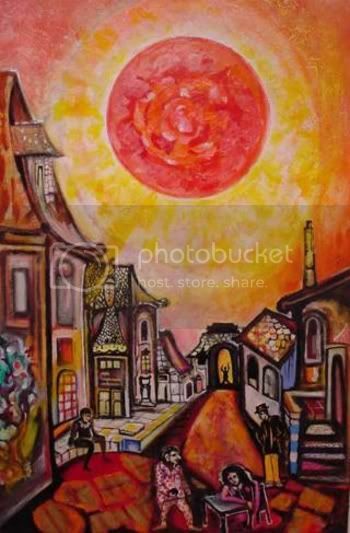 In Paint My Wagon, the narrator wants her freedom, but she wants her husband to go with her. Alice, in the song of the same name, ties herself to a house and family, but keeps the spirit of freedom alive in her heart for when it will be needed again. Alice is a wonderfully realized heroine, probably my favorite on an album full of fascinating women. Somewhere in the middle emotionally are the songs A Song I Can’t Remember and Someone Else’s Dream. These are songs where Solebello’s heroines sing in the first person, and they feel that they have arrived in a place where they do not belong. Finally, that gospel coda I mentioned is Wash Me Clean, which must close the album. The conflict expressed in all that has come before is not completely resolved, but Wash Me Clean feels to me like a secular prayer to help the heroine accept her situation, and the consequences of her choices. The song powerfully binds the album together, and leaves the listener with a feeling of hope. 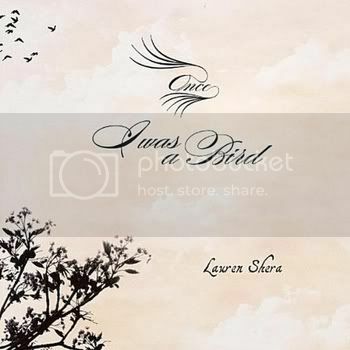 This is an album that is best heard as a whole, in the order the songs appear on the disc. Taken this way, Threshold is a powerful emotional document that I know I will want to come back to. I have a tremendous amount of music that I am excited about. Some is by artists I have been following, while some is in the new discovery category, and some is from people who I became friendly with before I ever heard their music. So, when I receive music submissions for Oliver, I often have to set some of it aside for the dreaded later. And while I wish I could get to all of it, for some, later never comes. So this week, I thought that I would pick five artists from the “for later” pile, and call it a set. I cheated a bit by starting with eight albums and whittling it down. Still, here are five artists whose albums I hadn’t gotten to, and who are just as worthy as anyone else I have ever featured. Update: I had accidentally loaded several of the songs in this post as WMA files. I have now replaced them with the mp3 versions. Thank you to the anonymous reader who pointed this out, and I apologize for the inconvenience. I have featured Allysen Callery before, but her new EP Winter Island got set aside because of the packaging. This one was issued in a limited addition, and it came in a plastic sleeve inside a cloth pouch. It didn’t fit safely on my CD pile, so I set it aside. But Allysen Callery and Winter Island deserve better. Until now, I have only heard Callery with a full band behind her. I admired her quiet intensity, and the folkloric quality of her writing. But here she is solo, just her voice and guitar. And this setting is a revelation. The first thing I noticed is that Callery is a fine finger style guitar player. Her playing tends to blend in in a group setting, but here she shines all on her own. I am reminded of what the ancient Irish believed about their bards. 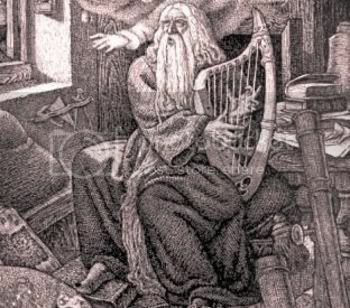 It was said that a bard could cast a spell with just his harp playing and his voice, and the spell would transport the listeners to another world while the song played. Most but not all of the listeners would make it back when the song ended. Callery displays that kind of otherworldly ability here, and Favourite Son is a fine example. 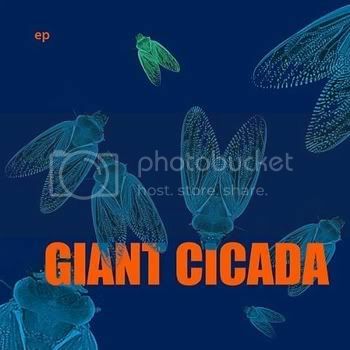 Giant Cicada is a group that makes music in the cracks. Is this jazz, folk, Americana, what? Some of my favorite music doesn’t fit neatly in any genre, and I will add this to the list. The rhythm section of this band is a cajon, (a hand-played box drum), and bowed bass. On top of this, add guitar, fiddle, and the wonderful vocals of Lynn Stein. There is also bottleneck guitar on some tracks. Gonna Get Through has a Brazilian lilt, both in the playing and in Stein’s vocal. But the song also has the propulsive drive of 80s rock. Giant Cicada’s gift is to take these incongruous elements and have them make sense together. Stein is an emotional singer who never has to shout, and that really puts this album over the top. 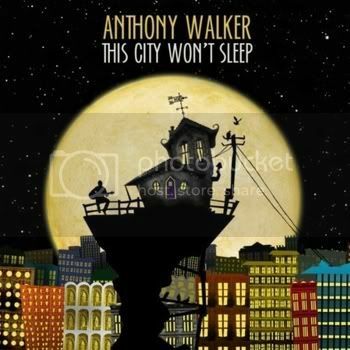 Anthony Walker’s new album This City Won’t Sleep was the last album I grabbed for this post. It was still in its shrink wrap, and I knew I must have heard something I liked, but I couldn’t remember why I requested it. Now I do. Walker sings in a high tenor that is an excellent rock instrument. Many of the songs here do in fact rock out, and it’s a great sound. But for me, the quieter songs are the standout tracks. That’s because they focus your attention more on the lyrics, and Walker is a great storyteller. Forget the Railroad seems to be set in the here and now, but Walker provides a line of flashback here and there, and pretty soon the listener can fill in the history of a relationship. Probably, no two listeners would tell it quite the same way, but all of the essential details are here. Walker gives all the clues, and he makes you want to fill in the details. That’s a pretty good definition of fine songwriting. I first met David Partridge of Postcard Comets quite some time ago, in an online song review group, and later in an acoustic music forum. Many of the people who are to be found in these places are amateur musicians, trying to get better at what they do and maybe make an album some day. But not Postcard Comets, at least not by the time I met them. Their music stood out, it because it was ready for the big(ger) time. I remember that, but I didn’t remember exactly what it sounded like. So when Partridge offered me their new album for the blog, I knew I wanted it, but I didn’t remember why. Now I remember. Postcard Comets is the duo of Partridge and Buck Wilburn. Between them, they play seven instruments by my count, so the sound on the album is that of a full band. Partridge does most of the writing, and he is an expert scene setter. In The Guardhouse and the Moon, I can see that night sky as I listen, and I can feel that cold autumn breeze blowing on me. Partridge’s voice has the texture of fine sandpaper, but he knows how to use that to his best advantage. Wilburn contributes a great part on lead acoustic guitar, with something of a Spanish flavor. All told, the emotion of this song comes through loud and clear. The subject is two childhood friends parting, as one begins military service. There are not all that many songs on this subject, so Partridge shows himself to be not only an evocative songwriter, but also a true original. The Guardhouse and the Moon is no fluke either; there are many other gems to be found on this album. I met Carrie Graham in that same acoustic music forum I referred to above. She sent me her EP Notes From the Nut Hatch just over a year ago. So why did it take me so long to get to her? Graham’s EP is only available as a download, so it has sat on my hard drive all this time, waiting for me to remember that it was there. 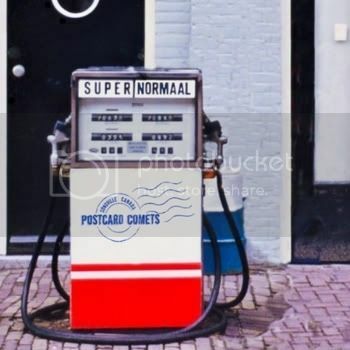 It was knowing that I would be posting Postcard Comets that reminded me. So, Carrie, I’m sorry this took so long. Graham sings in a slightly breathy low alto, and it’s a great sound. She writes little unsettled love songs, and her performances perfectly portray these feelings. 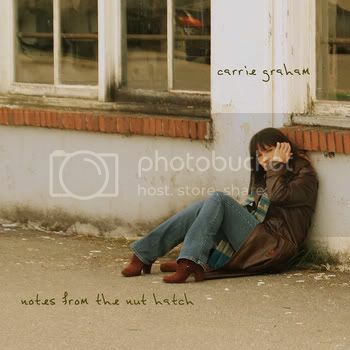 The rest of the songs on Nut Hatch fall loosely into the Americana category, and Graham does that very well indeed. But Mirrors is something else again. This one has a stuttery rhythm and great atmosphere. The narrator might have been transported to the Otherworld by Allysen Callery’s bardic arts, and now she seeks her way back through love. That might sound corny, and it probably isn’t exactly what Graham had in mind. But the song really works. The purchase link above will take you to Graham’s Bandcamp page, where you can purchase a download of Nut Hatch. There is also a link on the sidebar to a new song. Graham’s writing continues to develop, and her originality increases. I hope that there is a full length album in the future, and I hope I can get it as a physical CD, so I can share it here in a timely manner. One last thing: I would like to congratulate Teresa Storch on the success of her Kickstarter campaign. To all of my readers who were able to help, thank you. I live in New Jersey, and today is already the fourth or fifth day of the year where the temperature is over 90 degrees. That isn’t supposed to happen at all until July. So the choice of a For a Song this week was obvious. But I can never do anything in a completely obvious way. It takes a certain amount of courage these days for a female jazz singer to record Too Darn Hot. That’s because Ella Fitzgerald laid claim to the song and made it her own. If you’re a guy, you compete with Mel Torme on this one, but his claim is not as strong. Regardless, Janis Siegel can handle it. Siegel was a founding member of the Manhattan Transfer, and her jazz credentials as a solo artist are even stronger. She slides into this one, even including a playful quote from Heatwave to start, but the Siegel takes flight. By the time the full band kicks in, the listener is sailing right along with Siegel. I don’t know if I feel any cooler, but I certainly am enjoying the heat more now.